It has been a long musical journey for the Lovell family, with plenty of twists and turns along the way, and it all started at a bluegrass festival. Sisters Jessica, Megan, and Rebecca Lovell had been studying classical music from a young age and were surrounded by an eclectic mix of music at home—exposed to everything from Alison Krauss to Black Sabbath. But it was the sound of live bluegrass that served as the catalyst for their mutual epiphany. In 2004, the teenage sisters formed their band, the Lovell Sisters, and hit the ground running. They made records and toured the country, appearing on A Prairie Home Companion and at the Grand Ole Opry, as well as winning the John Lennon Songwriting Competition in 2008. But by 2009, oldest sister Jessica decided to leave music. “It’s a very strange way to make one’s life,” says Rebecca. You have to be whole hog to make it work, and she just said, ’It’s not for me,’ and moved on to other bright and beautiful things. 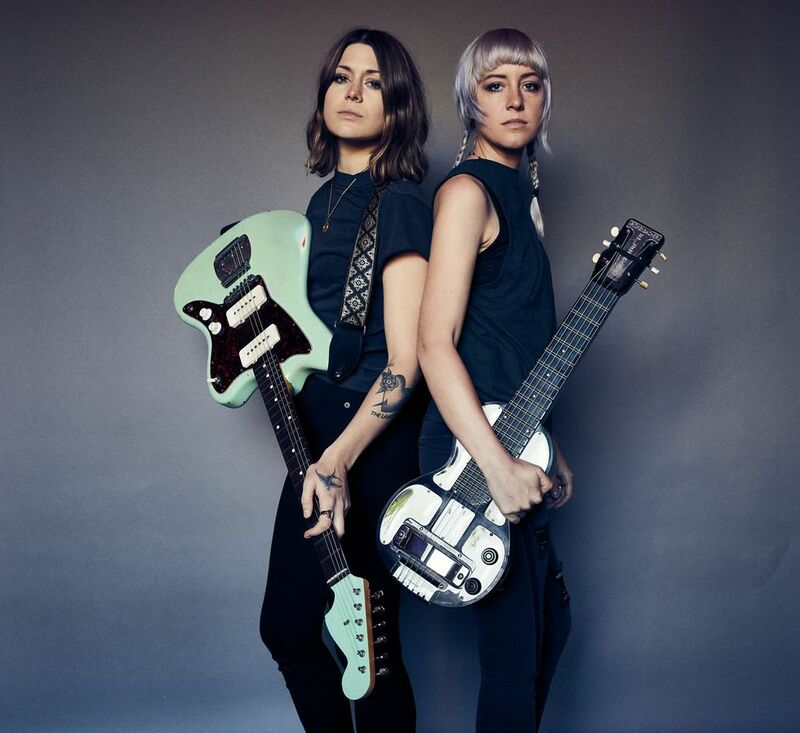 The younger Lovells regrouped and took the opportunity to make a fresh start, electrifying their sound under the name of their great-great-great-great grandfather, Larkin Poe. 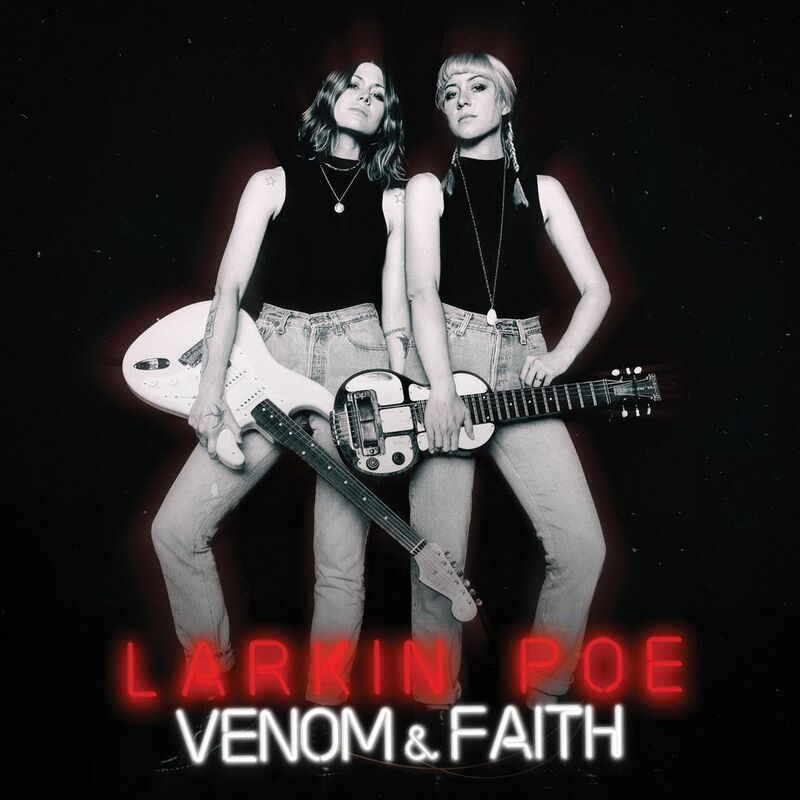 The new band built on the Lovell Sisters’ momentum, introducing Larkin Poe to the world in 2010 by releasing four EPs that year. It didn’t take long before their sound caught the ears of folks like T Bone Burnett, Elvis Costello, Steven Tyler, and Keith Urban—all of whom have tapped the Lovell sisters’ talent for recordings and performances. The duo released their newest album, Venom & Faith, hot on the heels of Peach, which dropped in late 2017. There is a sonic narrative between the two records: Megan and Rebecca decided to eschew outside help and to produce, write, arrange, and perform all of the instrumentation themselves. The result is a pair of albums that embrace a stripped-down sound based on nontraditional arrangements that focus on the sisters themselves. While Peach is a raw take on the bluesy side of their sound, Venom & Faith moves farther afield in its influences, drawing on the sounds of Southern hip-hop and alternative rock artists like Radiohead and PJ Harvey. We’ve been Larkin Poe now for eight years. I think it took us eight years to start making records that we finally feel represent the music we hear in our heads or the music we envision playing. So it was really just a baby-step-by-baby-step journey to realizing the dream of what it really means to be Larkin Poe.